Okay, don’t be embarrassed if you freaked out a little when that bird in your basement suddenly startled you, making you completely forget what you went down there for. Who expects a bird in their basement? But stay calm, and carry on with trying to remember what you meant to look for. You can safely do that first and attend to getting the bird out later, because not all birds are going to behave like those in the Hitchcock movie—well, none, actually. 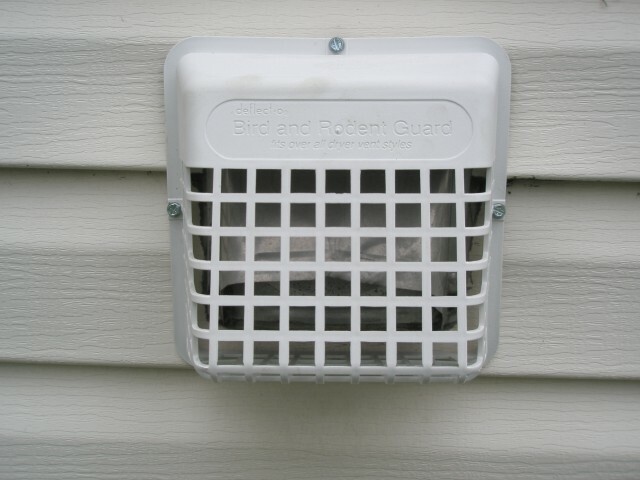 But birds do sometimes seek shelter in vents or try to nest in chimney flues, and that’s how they may occasionally end up inside your home. 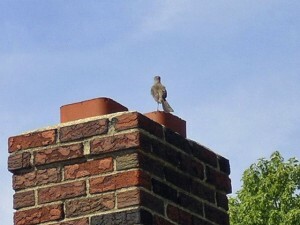 An unprotected chimney can result in a bird finding its way into a basement through the furnace flue. Cover the light coming from all but one basement window, using pieces of thick paper, cardboard, or cloth, and then, open the remaining window—or, if your basement has a door leading directly outside, cover all windows and open the door. Turn out the lights and stand where you can watch the bird exit. The bird should be drawn to the light outside and then fly out fairly quickly. To assist the bird moving in the right direction keep you can gently “herd” a sparrow out using a “moving wall” by tying bed sheet between two broom handles. With one person on each end, slowly and gently herd the bird toward the exit. 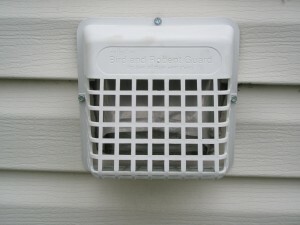 Once the bird is out, close the open window or door and remove the coverings you had placed over the windows. But what if the bird doesn’t fly out? This is a stepwise process that is a little slower, but it will help you get the bird out. Place a small dish of water, some seed, and or a crumbled piece of fresh bread in an open area of the basement closer to the door or window exit you have chosen. Turn the lights out and shine a flashlight directly on this gathering of items. As the bird finds and uses the resource move these items closer to the exit until close enough to repeat the steps above. If she appears unable to fly, contact a local wildlife rehabilitator. If your basement doesn’t have windows or a door, call your local animal control department or a local wildlife rehabilitator to assist in capturing the bird. If the bird came through an open window, install screens to keep them out. 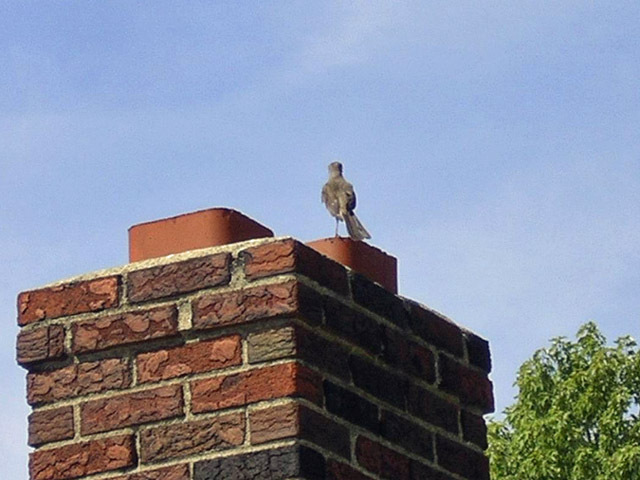 For a bird coming in through the furnace flue, hire a chimney sweep to install an approved chimney cap if you do not have one – remembering to have them check and make sure no animals like raccoons or chimney swifts are denning or nesting inside. 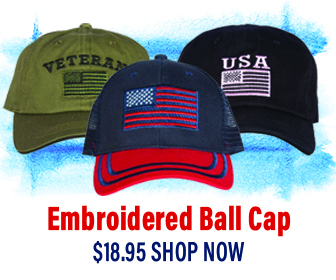 Hardware stores carry commercially made covers for various types of vents, or you can make a cover from hardware cloth, fastening it firmly into place so that the edges cannot be pried up. Large openings resulting from damaged or missing siding, for example, should be repaired using matching building materials whenever possible. Smaller crevices and openings can be filled with copper wire mesh or expandable foam. In all of these cases it is imperative to make sure there are no active nests or individuals in the openings you plan on sealing or repairing. Being startled by a wayward bird in your basement is not as uncommon as you might think. But if you’ve safely helped the bird back outside and securely sealed the entry points that you found, find a nice way to reward yourself, because you have scored a win for both you and the bird!